What’s Behind The Increase In Maternal Deaths In The U.S. While the rate at which women die during pregnancy or childbirth has fallen in many nations, maternal deaths have been rising in the U.S. over the last fifteen years, according to several new studies. But the mortality rate differs depending on the state. It doubled in Texas from 2000 to 2014, but decreased in California. 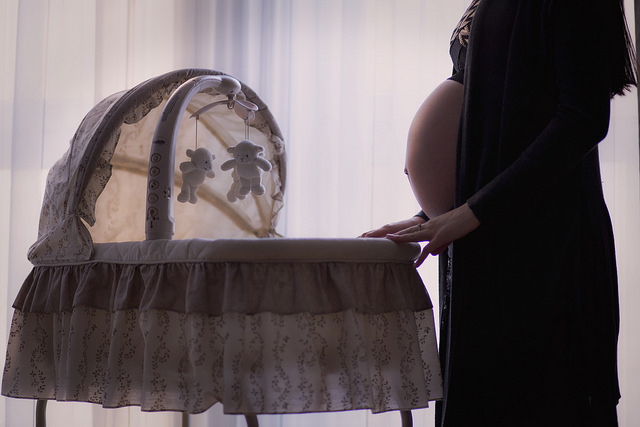 A look at what’s behind the increase in U.S. maternal mortality rates. MS. DIANE REHMThanks for joining us. I'm Diane Rehm. The number of women dying during pregnancy or shortly after childbirth is on the rise in almost every state in the country. In Texas, the maternal mortality rate doubled from 2000 to 2014, while in California, deaths declined. With me in the studio to talk about what's behind these trends, Dr. Catherine Spong with the National Institutes of Health and Marian MacDorman with the University of Maryland. MS. DIANE REHMJoining us from KUHF in Houston, Dr. Lisa Hollier with the Maternal Mortality and Morbidity Taskforce in Texas. And of course, you are always one of our guests. Feel free to give us a call at 800-433-8850. Send an email to drshow@wamu.org. Follow us on Facebook or Twitter. And thank you all for joining us. DR. CATHERINE SPONGThank you so much. Delighted to be here. DR. LISA HOLLIERHappy to be here. REHMGood to have you all. Marion MacDorman, I know you're a maternal and child health researcher at the Maryland population research center at the University of Maryland. Tell us about the findings of the recent study that received so much national attention. MACDORMANWe found that the maternal mortality rate increased by 27 percent from 2000 to 2014 for a group of 48 states and Washington, D.C. California had a decline in maternal mortality. But the results from Texas were really startling in that the rate nearly doubled between 2010 and 2012. REHMHow do you account for that? MACDORMANWell, it's very difficult to account for because the levels in Texas now are quite high. You know, it's more like what you would see in developing countries. And you know, we really tried to search for data problems or changes in coding or classification that might have accounted for these trends and we really didn't find those things. So we think the data's been collected in a fairly uniform way during the period so, yeah, it is bit of a mystery. REHMAnd just so we're clear, Dr. Spong, explain what we mean by maternal mortality rate. SPONGAll right. So the maternal mortality rate is the rate of women who die as a result of complications of pregnancy or childbirth. And this can extend beyond pregnancy itself. The coding can be a little bit different across different states, but can be up to one year after pregnancy. REHMAnd does that also include suicide? SPONGSo it needs to be a death that's related to the pregnancy itself. REHMBut could that include suicide? SPONGSo I'm going to defer to Marian because she's the one who did that study to help with that description. MACDORMANIn the United States, definition of maternal mortality suicides are not included. MACDORMANExternal causes of injury, accidents, homicide and suicide are specifically excluded in the U.S. data. However, in some other countries, they do include suicides in maternal mortality because of they were, like, linked to postpartum depression and all that. SPONGAnd I just want to add to that, you know, the reason why you're pushing that question, I think, is completely appropriate. The issue of postpartum depression is a significant one and so that can, of course, be related to suicide. So it's important to understand, though, how this data is collected and it was not collected with suicide as one of those markers. REHMYou know what fascinates me is that this would seem to be in contradiction to what's happening around the rest of the world. SPONGRight. So the rates in United States are much higher than rates in other developed countries. In fact, there are over -- about a third difference, right. Rates in Canada are much, much lower. Rates in the UK and rates in Japan are in the six to eight range as compared to in the U.S. where we're at 23.8 per 100,000 live births. REHMSo issue or understanding about what's going on in this country. SPONGRight. So there's a lot of different factors that can feed into maternal mortality and to try to help us understand what's going on in the United States. Some of it, of course, might be reporting differences between what's reported here in the United States versus reported elsewhere. Some of it might be due to the population, right? Women in the United States are getting older as they're getting pregnant and so that might increase your risks in pregnancy because you may have other chronic conditions. SPONGThere are higher rates of chronic conditions in the United States, things like diabetes and hypertension and, of course, pretty significant rates of obesity as well, especially in reproductive age women, which then further drives those other risk factors, such as diabetes and hypertension, heart problems. When you think about maternal mortality, the two areas that really are the ones that we start to think about as to why this happens, we look at hemorrhage and we look at hypertensive complications, like preeclampsia. SPONGNow, interestingly in this study, those rates were pretty consistent across time so it wasn't that these two things were increased, but you know, heart problems, such as cardiovascular disease or heart disease, was a significant complication. I think it accounted for up to 25 percent of maternal deaths. REHMOn the other hand, as you look at Germany and Britain, for example, is there a factor or are there factors within the medical care system itself that might mitigate the number of deaths going on in those countries, Marian? MACDORMANI think that's a very good question. Certainly, their health systems are very different, you know. I think they attend more toward a single payer system and integrated care. You know, I think care is more readily available, you know, to low income women or women without insurance and so forth. And so it could be a factor. But I don't know. My study didn't directly address that. REHMI see. Nothing that you know of, either, Dr. Spong. SPONGSo certainly, in different countries, things are collected different ways so that might be a little bit of a factor. And then, the populations are going to be different, right? So the rates of chronic conditions, the rates of diabetes, the rates of obesity are certainly different in those countries than in the United States and then, as you mentioned, the healthcare system and the ability to have access to that system and the ability for follow-up may be different and may also play a factor. REHMAnd follow-up. Just for listener's sake, in 2014, Britain's rate was 6.7 deaths per 100,000. Germany, 4.1 deaths per 100,000. And the U.S. rate, 23.8 percent deaths per 100,000. Wow. That really is shocking when we call ourselves, you know, the greatest industrial nation on earth, the most powerful nation on earth. Since 1954, I'm told, Britain has had a mandatory system of reviews of every maternal newborn and infant death to determine what went wrong and how they can improve. Do we have such a system? SPONGSo there is not a nationwide system. This is done more on state by state basis. And I think part of what was described with the improvement in California was specifically related to that, a real focus in California on maternal mortality, a review of each maternal death in an attempt to try to understand what was that causal factor. In addition, putting into place protocols for specific things, such as hemorrhage and hypertensive disorders to make a checklist, make it very easy for people to care for women with these complications. SPONGBy focusing on maternal mortality and making it a priority, you're going to be able to impact a change. REHMAll right. And now, let's turn to Dr. Lisa Hollier. She's the chair of the Maternal Mortality and Morbidity Taskforce for the state of Texas. I know that -- I'm sure that the death of a pregnant woman or a new mother can just have an absolutely devastating effect on the family and you've seen this firsthand. HOLLIERI have. That's right. And it had a very profound effect on the rest of my career. When I was in my training program, a young, healthy pregnant women, pregnant with her first baby, came into labor and delivery with the worst headache of her life. And minutes later, she lost consciousness. An emergency C-section was done to save the life of her baby and the mother went to the intensive care unit. HOLLIERIt was discovered that she had suffered a terrible bleed inside her head and unfortunately, despite multiple teams giving her the best possible care, we were not able to save her life. For me, there was another moment that was also very profound this -- when the father, her husband, came in to take their child home from the hospital, leaving the nursery, I remember seeing him standing there holding the baby looking so lost. HOLLIERAnd I can't imagine what that must've felt like to know that his family would never be together. It was a tremendous impact. REHMDr. Lisa Hollier, she is at the -- she is medical director at the Baylor College of Medicine, a special in maternal fetal medicine. Short break here, we'll be right back. REHMAnd welcome back. We're talking about the maternal mortality rate in this country, which is happening very close to or within childbirth, and the rate of that mortality has almost gone up by 23 percent since 2000. And in Texas, that rate is even higher. Dr. Hollier, in Texas, according to this study, the maternal mortality rate doubled from 17.7 per 100 live births in 2000 to 35.8 live births in 2013. And joining us now from KUT in Austin, Texas, is Yvonne Gutierrez. She is the executive director of Planned Parenthood Texas Votes, the policy and advocacy arm of Planned Parenthood in Texas. Thanks for joining us, Yvonne. MS. YVONNE GUTIERREZThank you for the opportunity, Diane. REHMI know the state is studying why the maternal mortality rate doubled in Texas doubled from 2000 to 2014, and I gather that you believe that access to health care is at the root of the problem. GUTIERREZAccess to health care is a problem in Texas, and I think that the -- your panel of experts would certainly agree. I think that what the challenge here, and, you know, I know that it has been said that, you know, there is -- the link of causation is certainly not something that can be, you know, directly correlated, but what we can say is that lack of access if a problem. We have seen the state decimate access to health care for women specifically in this state. We have seen it be a challenge to get any kind of real remedies for that fact, we've seen women driving miles and miles if they have the transportation to get access to health care, and predominately this is an issue for low-income women of color in our state and women who live in rural communities. GUTIERREZSo when you look at mortality and other health care, devastating health care outcomes, you know, devastating health care outcomes, you know, it can only be said that access to health care is certainly something that could be a factor. REHMI know that Republican legislators in Texas reduced funding for Planned Parenthood in 2011. What do you think the effect has been on that? GUTIERREZNot only was funding reduced for Planned Parenthood, Diane, but two-thirds of the family planning budget in 2011 was reduced. Since then over 80 family planning health centers have been closed or have had to significantly reduce hours. Planned Parenthood health centers were about a third of those health center. GUTIERREZAnd when you look at the impact and the fact that many of these providers are first-line providers for these women, we've heard from numerous women that Planned Parenthood is their only access to health care. So when you look at women who are of reproductive age and in need of health care, these are the providers that they seek, and when that health care has been reduced drastically, you know that there is going to be impact on the ground, specifically as I mentioned for women who are low-income, specifically women of color. REHMI do want listeners to know that we invited several Texas state legislators to be on the show who supported the defunding of Planned Parenthood, including State Senator Jane Nelson, State Representative Jim Keffer, but they did decline to join our discussion. Dr. Hollier, what do you think of what has happened in Texas, specifically the defunding of Planned Parenthood and how that has played into the fact that maternal mortality during childbirth and after is going up? HOLLIERDiane, the rising mortality rate in Texas, is precisely why the task force was created in 2013, and we are doing very detailed reviews of cases of maternal death so that we can truly understand the circumstances that led to the loss of lives for these women so that again, as you mentioned, we can make recommendations to prevent this from happening in the future. HOLLIERWhile we're still investing cases and will continue to do so, the majority of the change that Dr. MacDorman reported in her manuscript occurred between 2010 and 2011, and the time course of the family planning cuts doesn't seem consistent with that increase. I believe that the problem of maternal mortality is very complex. It's multi-faceted. And there are a number of important contributors to maternal mortality. And they range from emergencies like hemorrhage, like bleeding, that happen in labor and delivery to a woman for example who has -- who is born with a heart defect, survives due to the outstanding medical that she receives over her lifetime and then goes on to have a pregnancy herself. REHMSo from -- so from your point of view, the closing of Planned Parenthood facilities because of defunding plays no role in the increase in maternal morbidity? HOLLIERDiane, I think that it doesn't explain the increase that we saw in Dr. MacDorman's report from 2010 to 2011. We believe strongly that access to care is an important factor for women, and we believe that access is important in identifying women who have risk factors so that they can receive appropriate care during their pregnancies. REHMYvonne, would you like to comment? GUTIERREZSure, Diane, thank you, and the bottom line is these policies made it harder for women to get birth control to plan and space their pregnancies, and so I believe that, you know, and Dr. Hollier's assessment of and reference to the research of that timeframe is understood. Also, how are women getting that first exam for a pregnancy and referral for prenatal care? You know, essentially the state, when we are in a situation where the state is passing policies that are doubling down on bad women's health legislation, this is not a positive impact in the situation that we are dealing with, in which we have a parallel of maternal mortality happening at the same time. REHMDr. MacDorman, would you like to comment? MACDORMANJust to say that in my study I think the increase in Texas was between 2010 and 2012, and actually the highest rate we found of internal mortality rate of nearly 40 was in 2012, which, you know, could have been impact by clinics. MACDORMANCould have been. Yeah, I mean, at this point it's an ecological analysis. You know, one thing happened, and another thing happened. I can't prove that one caused the other. But I wouldn't discount it, either, certainly. SPONGI think it's important to remember that pregnancy itself is not without risk, right. When -- we think of pregnancy of something that's very easy, it's something that's done all the time, and you often get a healthy child out of it. But pregnancy itself is associated with significant risk for both the mom and for the baby. And so understanding what all those risk factors are and trying to optimize that outcome both by getting good care as well as trying to optimize your care prior to pregnancy and coming in to pregnancy as healthy as you can. REHMWhat's the difference that California is making? How are they succeeding in producing such a much lower rate, Dr. MacDorman? MACDORMANYeah, so their rate decreased from around 21.5 in 2004 to 15 in 2014. So they had a significant decline. And they've done a lot of work within their state to lower maternal mortality. They have a California Quality Care Collaborative, which has put out training modules of prevention of common cases of maternal deaths, such as hemorrhage and preeclampsia. They have a really, you know, aggressive maternal mortality committee that looks at all the deaths and tries to, you know, develop lessons learned and how to improve things. MACDORMANThey've gone out and done a lot of training with clinicians in the state, and so I think this shows that if you just put enough attention on the issue, you can improve the situation. REHMYvonne, I'm wondering about the kind of data regarding maternal health that has been made public in Texas or not. GUTIERREZVery little of that has been made public, and I believe the Dallas Morning News pointed to that recently. It's important, and I think that Dr. Hollier can speak to this, as well, that her committee be able, her task force be able to do the work that they need to, that the public and the media have access to the information that also helps inform what is happening on the ground and that folks know information that's available and what the risks are and also that the state heeds the advice of these medical experts who are working on this issue and does not continue to politicize women's health. GUTIERREZYou know, the reality is these policies are getting worse and worse in our state, and the state needs to listen to the advice of medical experts, as opposed to politicizing the issue of women's health every step of the way. REHMDr. Hollier, I gather that the Department of State Health Services in Texas has refused to disclose even an inventory of what info is kept, what data is kept about these women. HOLLIERThe Department of State Health Services has a website in their Center for Health Statistics that has maternal mortality rates and counts published. That information is also available by county and has been readily available for quite some time. REHMOn the other hand the Dallas Morning News said it recently tried to get this state data. The State Health Department refused, citing a 2011 court opinion by then-attorney general Greg Abbott that ruled that the cause of death, dates of birth and addresses of the deceased should remain secret to prevent fraud. HOLLIERDiane, I think that there are -- it's my understanding that there are some statutes that do regulate the release of some information regarding deaths. There are some counties that are so very small that if a specific address or other personal health information were released about someone, that might reveal personal medical information. Now certainly the task force has had access to these cases. The task force reviews are completely blinded. We don't know the name of the individual, the address of the individual, the hospital, the physician who took care of them. HOLLIERBut we're really able to delve into the delve into the details around that death and make recommendations for new programs. REHMAnd you're listening to "The Diane Rehm Show." Yvonne Gutierrez, does that go far enough? GUTIERREZNo, Diane, I believe it does not. We've seen time and time again the explanations have not become public, and we are just again experiencing devastating consequences when the state is, A, not being transparent, and B, politicizing women's health and again not providing the detail that is necessary in order to fully inform the public. GUTIERREZI respect Dr. Hollier and her good work, and I know that the task force is working hard to understand this issue. But what we also need to understand is that the state is not being forthcoming and is not creating good enough access to health care for women, specifically low-income women of color. REHMAll right, I'm going to open the phones now, 800-433-8850, to John in Tallahassee, Florida, you're on the air. REHMJohn, I'm afraid if you're on a speaker phone, I cannot hear you. Are you there? Okay, let's go to Maeve in Elkins, Arkansas, you're on the air. MAEVEThanks, I'm glad you brought this subject up. I'm out of childbearing by many years. My oldest child now is 40. I had seven children. Some of them were home births, and some of them I dealt with -- you know, had them in hospitals as naturally as possible. One of the things that has struck me over time is the lack of close relationship with a sort of midwife or nurse practitioner community to fail to have an interface between the medical, you know, medicalized kind of birth, which sometimes you have to have to be able to have health screening but have information available to women, close relationships with the women. MACDORMANYeah, out-of-hospital births in this country are increasing, and for about 15 percent of these births they do require transfer to a medical facility because of complications. In many European countries those relationships are very well-developed, in Great Britain, in the Netherlands, in a lot of countries. In this country they're not well-developed, and transfer becomes a problem. And this is a problem for a couple different reasons. One is, you know, the midwives may be afraid to transfer because they're afraid of the reception they're going to receive at the hospital, so they may wait a little too long, you know, with complications going on. MACDORMANAnother problem is, you know, the doctors are very reluctant to take transfers from home births, and there's a lack of communication, which can create what doctors refer to as the train wreck, where the woman comes in, she's very sick, and they don't have information on the history of the -- you know, the progression of the labor, the prenatal care history and so forth. MACDORMANSo there are some models of places in this country that have good relationships and have good policies for transfer, but it's only in a very small minority of places. REHMDr. Marian MacDorman, she is a maternal and child health researcher at the Maryland Population Researcher at the University of Maryland. We'll take a short break here, and when we come back, more of your calls. Stay with us. REHMAnd welcome back. Let's go right back to the phones, to Josh in St. Louis, Mo. You're on the air. JOSHHi. I was calling to ask a question. I was curious about the influence of health access for immigrants might have for states like Texas, in terms of infant mortality rates. HOLLIERWell, his question, I think, was about infant mortality rates. I'd like to address it in terms of maternal mortality. I think access to care is an important piece of helping women to achieve their healthiest state. As Dr. Spong mentioned, one of the key factors is helping women to be healthy. In Texas, between 2005 and 2014, we have seen pre-pregnancy obesity increase 25 percent, high blood pressure increase by 20 percent and diabetes increase by 45 percent. REHMDr. Hollier, our caller was asking about immigrants, specifically. HOLLIERYes. We have a number of different opportunities for care for immigrants in Texas. There are a variety of programs that provide services to this population through federally qualified health centers, through the family planning programs. You can get access to basic healthcare services and then there's also a number of safety net hospitals that can also provide care for these women. REHMYvonne, do you want to comment? GUTIERREZYes, thank you. When we look at and think about immigrant healthcare, I, you know, also think it's important if Dr. Hollier could address the way that immigrants are factored into these statistics. I think there are programs that are available for immigrant healthcare. Certainly not enough. And also, when we look at Spanish-speaking communities and culturally competent access to care has also been an issue. So I think that as we do look at access to healthcare for immigrant women and families, how is the state addressing those, as we look at the statistics that are reported from the state? HOLLIERSo when we look at maternal mortality, we are -- women are captured by the zip code in which they lived. So if we have that information they are captured. And we are evaluating their deaths to gain additional information. And I couldn't agree with Yvonne more. I would love to see other programs that increase access, culturally appropriate access, for women who are immigrating to the country. REHMBut does that mean that any and every immigrant is guaranteed some form of maternal care, as she goes to give birth, Dr. Hollier, in Texas? HOLLIERThe -- there's a program called CHIP Perinate that provides care for women who fit into this category. And they are able to access prenatal care throughout the pregnancy and the delivery. They also have access to at least to post -- have access to post-partum visits, as well. REHMAnd what about African-American women, Dr. MacDorman? DR. MARIAN MACDORMANWell, research shows that African-American women have maternal mortality rates which are two to three times higher than for either white or Hispanic women. And that's been present in the data for many years. So I think that the health disparities is a really big issue that we need to address. REHMYvonne, how do you see that? GUTIERREZPeople who already face disparities, essentially, are -- in gaining access to healthcare service, they're especially at risk for public health crisis, like maternal mortality. In Texas, more than half of women reported at least one barrier to reproductive healthcare. So for Spanish-speaking women, where we see, you know, more than likely to report three or more barriers to care. So in essence, there are a number of factors that are limiting access to healthcare. Certainly, your socioeconomic status, the color of your skin are two of those significant factors. REHMAnd to you, again, Yvonne, here's a tweet from Ellen. "What's the impact or intersection of abortion restrictions and debate of reproductive healthcare, the Hobby Lobby case, on this issue?" GUTIERREZEssentially, as we look at access to care, I feel like that is a quite -- that's a heavy tweet. But what I will say is that as we look at the abortion politics that are happening the in the state of Texas, the restrictions that have been felt on the ground, obviously, there's been alleviation from the Supreme Court. But this issue has just permeated the debate around women's health and access to healthcare and family planning, access to preventative healthcare has deteriorated because of the attacks on women's health being politicized by the abortion debate and access to abortion. GUTIERREZWomen who are, you know, essentially in need of family planning to prevent an unwanted pregnancy are also facing barriers once they become pregnant. So we have just really an explosion on the ground. And in regard to Hobby Lobby and in regard to access, essentially, to healthcare by providers who might not be willing to provide that care, we also saw the state recently provide a funding contract for family planning services to an anti-abortion activist organization. So you -- we have the intersection of these issues are extreme, I would say. REHMDr. Hollier, do you want to respond? HOLLIERI think there are some positive things that we are doing in Texas. I'm excited about the Healthy Texas Women program. That was recently implemented, rolled out on July 1st of this year. Women who are in the Medicaid program automatically enroll in this new family planning program that provides basic healthcare services. HOLLIERAnd also provides opportunities for screening and treatment of high blood pressure, screening and treatment for diabetes, screening and treatment for high cholesterol and screening and treatment for post-partum depression, which addresses some of the most common factors that we found to be associated with maternal mortality in Texas. REHMAt the same time, wasn't Texas one of the states that refused to expand its Medicaid program in the Affordable Care Act? HOLLIERThat's correct. Texas has not expanded Medicaid. REHMOkay. Let's go to Sandra in St. Petersburg, Fla. You're on the air. SANDRAYes. Thank you for taking my call. I am a retired nursing professor. I've been taking care of women for almost 50 years. And one thing that has not been mentioned when we compare the statistics in our country versus other developed countries of the world, is that I have just seen a huge expansion of surgical intervention in the care of women, pregnant women and in deliveries, most specifically Cesarean section. And I wondered if the researchers have actually looked at this in relation to other countries. SPONGYou bring up a very good point. And the rates of Cesarean delivery in this country are higher than many other countries, especially developed countries. Although, there are other countries where rates are even higher than in the United States. But a delivery by Cesarean, although very safe, can result in many complications, especially in subsequent pregnancies. And any surgeries, including a Cesarean has risks associated with it. Risks, including that have death, hemorrhage, infection and things like that. SPONGOnce you've had a Cesarean delivery, if you become pregnant again, there are higher risks in that pregnancy. A risk of uterine rupture, where the uterus, the scar itself can open up. A risk where the placenta can implant abnormally, resulting in the placenta growing into or even through the wall of the uterus, which can result in significant morbidity and even mortality for both the mom and the baby. REHMSo why are we seeing this increase in C-sections? SPONGWell, I will say that over the last couple of years, after a lot of focus has been put on the rates of Cesarean delivery, we are starting to show some declines in Cesarean delivery rates. About one in three women, between one and three and one in four women are delivered by Cesarean in the United States. There was a time period when there was a lot of interest and a lot of uptake on women attempting a vaginal birth after a Cesarean delivery. But that has really faded away. So what we really need to focus on now is preventing that first Cesarean. And we've had a lot of effort to try to do that. REHMWhat is it that has created that rise in either the desire or the need for C-section births? SPONGSo there's -- there are a lot of different factors that went into that rise of Cesarean delivery. One is, overall of major surgeries it's -- it is relatively of low risk. Right? If you -- if it's scheduled well, if there are no risks going into it, if a person goes just to strictly have a Cesarean, your risks are pretty low. There have been people who have felt that maybe for them they wanted to have that first Cesarean because they felt for them it was the right thing to do. And in discussion with their physician, they may have had different reasons for that. SPONGCertainly, yes, it can be more expensive and a longer recovery period. Higher risks in future pregnancies and is something that we've been trying to push to try to reduce that first Cesarean. REHMIs our C-section rate in this country, Dr. MacDorman, higher than that of other Western European countries? MACDORMANIt's higher than most European countries. There are a couple, such as Italy, where their rates are a little bit higher. But I think in the U.K. it's around 20 percent. In this country it's about 32 to 33 percent. So one out of three women. I also wanted to comment that among maternal deaths, two out of three are associated with Cesarean section. Whereas, among birth, one out of three are associated with Cesarean section. Now, part of that might be that the women getting the Cesarean were sicker to begin with, but certainly it's something -- it's a statistic that gives you pause. REHMDo doctors try to discourage women from having C-sections with that higher rate of mortality? SPONGI would say that it's a discussion that a patient should have with her physician, as to why is it -- what optimal birth method is there. So for example, if in fact the placenta is implanted over the cervix itself, which precludes the fetus from being delivered vaginally, and can cause significant hemorrhage for both the mother and the baby, a Cesarean delivery is the best option for both mother and baby's life and health. SPONGIf, however, the baby is positioned normally and the placenta is fine and the baby is growing fine, an uncomplicated vaginal delivery is the safest and optimal delivery route for both mother and for baby. REHMWhy do some women ask for Cesarean deliveries? SPONGSo I'll say that the idea of a person simply asking to have a Cesarean because they want one is a very small component of Cesarean deliveries. And there's lots of reasons why people say that and do that. And I can speak -- I know that there was one celebrity who wanted to not experience pain. Well, there's many other ways to not experience pain, than having a Cesarean versus a vaginal delivery. And there's lots of anesthetic options. So that's not a good reason for you to have a Cesarean delivery. REHMAnd you're listening to "The Diane Rehm Show." And let's see, here's an email from Mary, who says, "What about the growing and severe shortage of maternity care providers, like OB/GYNs?" Is that the case, Dr. MacDorman? MACDORMANI think that it depends on the region of the country. I think that in large cities, you know, there's probably plenty of OBs, maybe even too many. But certainly in more rural areas, more remote areas this can be a problem. REHMAnd here's an email from Denise in Florida, who says, "I worked as a labor and delivery nurse in Florida. Many of the migrant workers had no prenatal care. They did not speak English. They were fearful of going to a clinic because they were not there legally." Yvonne, can you speak to that? GUTIERREZWell, I, thank you, Diane. I think that there are a couple of factors there. And I'm glad that that was brought to our attention here. Because, A, yes, that is definitely a factor when you have a fear among a community of seeking healthcare. But the comment that was made earlier about OB/GYNs and the availability, I know that in Texas we see a shortage of OB/GYN care and physician availability, specifically in rural areas of the state. GUTIERREZWhen you layer that with communities that don't have access, that cannot access care, then you are seeing an even greater population of people who do not have access and that would then contribute to public health crisis that include maternal mortality. So I certainly agree with the listener. That is an issue. REHMDoes Texas have a lower number of OB/GYNs by comparison to other states around the country, Dr. Hollier? HOLLIERI think, as has been previously mentioned, the issue really relates to distribution. So in many of our major metropolitan areas we have a significant number of OB/GYNs per patient population. But in some of the more rural areas of Texas, we don't see that same distribution. And there are shortages. The state is working on different initiatives to increase the number of residents who train in Texas, because if you train in particular area, you're more likely to stay in that area. And looking at other incentive programs to retain physicians in these healthcare shortage areas to insure that the distribution improves. REHMHas there been a departure of some physicians from the State of Texas that makes a significant difference? HOLLIERActually, sense medical liability reform was passed in 2003, there's been a net gain in physicians to Texas. I think that our next step is really to work on that distribution to insure that women in rural areas have adequate access. REHMAll right. I want to thank all of you for joining us. Dr. Lisa Hollier, Yvonne Gutierrez, Marian MacDorman, Catherine Spong, thank you all for sharing your information with us.